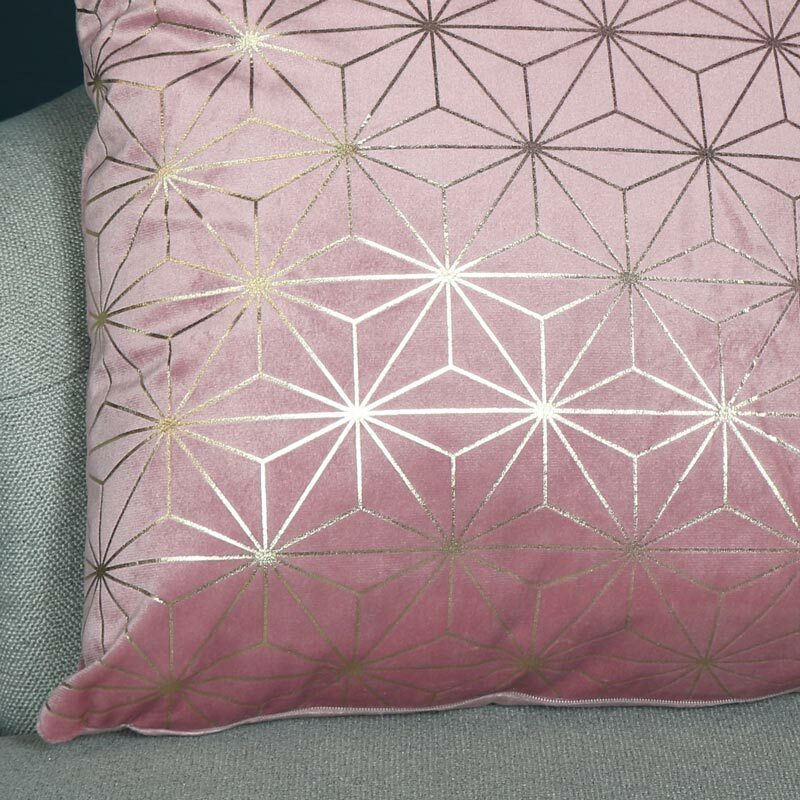 Soft pink velvet scatter cushion with luxe style gold foil geometric print. Perfect for adding a comfy finish to the bed, sof or chair. A fantastic home decor accessory for the girly boudoir. Soft to the touch velvet fabric. With more cushions to choose from and part of our selection of soft furnishings with rugs and throws also available. 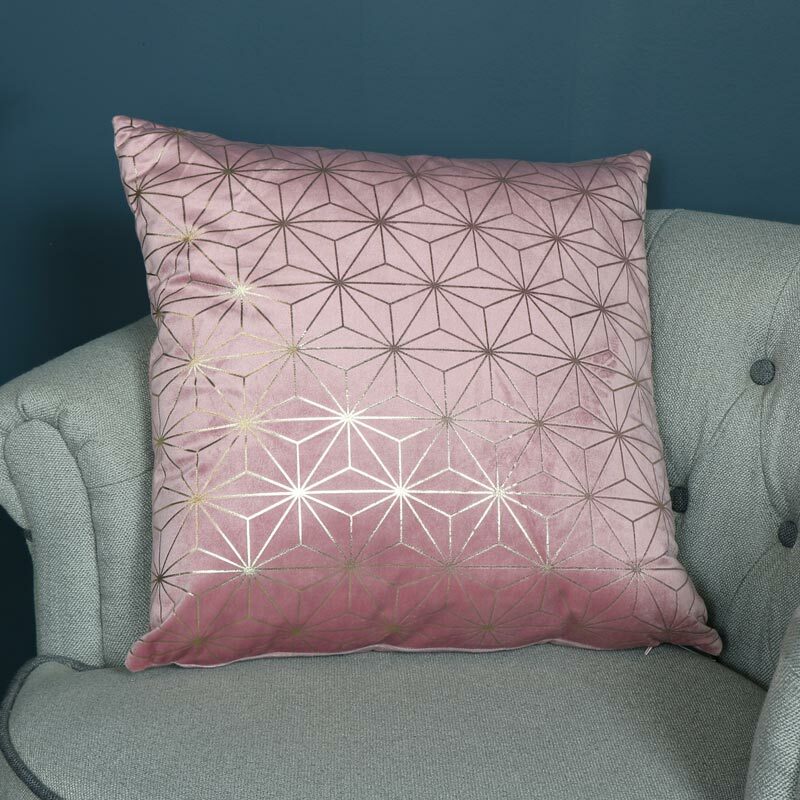 Soft pink velvet scatter cushion with luxe style gold foil geometric print. Perfect for adding a comfy finish to the bed, sof or chair. A fantastic home decor accessory for the girly boudoir. Soft to the touch velvet fabric. With more cushions to choose from and part of our selection of soft furnishings with rugs and throws also available.